Chapter 10, "Wicca and Witchcraft," in the book, World Religions and Cults, Volume 2, Moralistic, Mythical, and Mysticism Religions, (Master Books, 2016), Bodie Hodge and Roger Patterson, Editors. Two articles in The Apologetics Study Bible for Students (2010), edited by Sean McDowell: One is "What's the Big Deal About Yoga?" on page 183, and the second article is "What's the Big Deal About Astrology?" on page 294. Chapter 2, "Astrology and the Age of Aquarius" in the book, On Global Wizardry: Techniques of Pagan Spirituality" (2010), edited by Peter Jones, Foreword by John Frame. The pamphlet, "10 Q & A on Magic, Spells, and Divination," (Rose Publishing, August, 2007). The pamphlet, "10 Q & A on Magic, Spells, and Divination," is included in the Rose Publishing booklet, "God in Real Life," written for teens (2009). One of 4 contributors to the pamphlet "Christianity, Cults & The Occult" (Rose Publishing, 2006). This pamphlet is also available as a section in a Rose Bible Basics Book titled, "Christianity, Cults, and Religions." Several articles in the Christian Research Journal, including featured cover stories, "I See Dead People: A Look At After-Death Communication" (Vol. 25/No. 01/2002); "Kabbalah: Getting Back to the Garden" (Vol. 28/No. 02/2005); and "The World According to Goth" (Vol. 29/No. 01/2006), as well as the featured article "Feng Shui: New Dimensions in Living" (Vol. 26/ No. 01/2003); a sidebar article, "The New Age and Shamanism" (Vol. 25/No. 04/2003); and a critique of two New Age books for teens, "Dangerous Spirituality For Teens" (Vol. 28/No. 01/2005). Marcia's article, "Witnessing to People in the Occult," was published in Vol. 31, No. 5/2008. 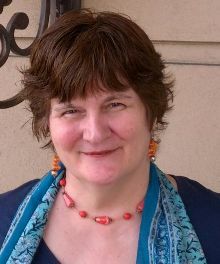 Marcia has also published several articles over the years in the Midwest Christian Outreach Journal, a publication of Midwest Christian Outreach ministries, and published articles in various other Christian publications, including her testimony reproduced in several publications in the United States and outside it, including publications in Greece, South Africa, and the UK. An article by Marcia, "Do You Believe In Ghosts? A Look at Contact With the Dead," was published in the Areopagus Journal, July-August, 2008, published by the Apologetics Resource Center, Birmingham, AL. Marcia's story of deliverance from astrology and the New Age to faith in Christ is recounted in Chapter 10 of the book, The Unexpected Journey: Conversations with People Who Turned From Other Faiths to Jesus by Thom S. Rainer (Zondervan, 2005).